The trained and experienced professionals at ServiceMaster of Aurora has built a reputation as a reliable professional upholstery cleaner in Aurora and the surrounding areas. If for any reason you have any questions or comments about our upholstery cleaner services in Aurora, feel free to give us a call at 630-896-0030 or fill out the form below and a representative will respond shortly. 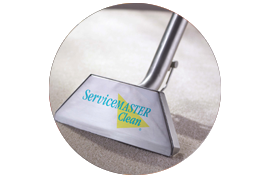 Qualified technicians at ServiceMaster of Aurora can take care of any level of damage or stains on just about any fabric or furniture piece. On-site dry cleaning is also available for more sensitive fabrics and draperies. Our experienced technicians can perform upholstery cleaning and restoration required due to water damage, mildew growth, charring, and fire damage. Our upholstery cleaner services in Aurora will be done quickly, safely, and within your budget limitations. Whatever the job, big or small, our upholstery cleaning services in Aurora can handle it. Trust Service Master of Aurora for all your upholstery cleaner services and to keep your furniture or fabrics looking good as new. Our upholstery cleaning services in Aurora are considerably more affordable compared to other cleaning companies and if you are not satisfied with our work, we will come back and do it again free of charge. If for any reason you have any questions or comments about our upholstery cleaner services in Aurora, feel free to fill out the form below and an associate will respond shortly or give us a call at 630-896-0030 to speak with a knowledgeable representative.